AZ-Immigration founder, Alejandro Zalazar (AZCLDP 80885), has been working in the law field for nearly two decades. 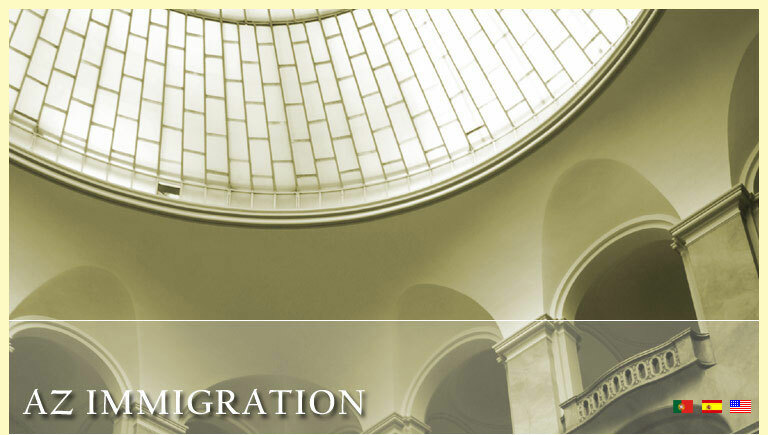 His extended experience in immigration law spans from his own story, to cooperative work with a number of attorneys in the field, as well as assisting clients in a wide range of cases throughout the years. As an immigrant himself, Alejandro understands that the immigration process can be stressful and complicated. His approach is to simplify this process and help you understand every aspect of your situation. It is important to him that you feel you are receiving competent and skilled assistance. Ultimately, he wants his clients to share his view that the assistance to immigrants is always an honorable profession. There is no service that he would rather be providing. Based upon his immigration understanding, having gone through it himself when he first moved to the United States, Alejandro strongly believes that his clients, and the public at large, are entitled to as much response and awareness of the process as possible. Alejandro is an advocate for the protection of universal human rights, and knew even before starting law school that he wanted to concentrate on an area of law that was international in scope of help. His area of interest ultimately led him to what he describes as the "privilege" of helping foreign nationals find their way through the unpredictable process of U.S. immigration law. Alejandro Zalazar obtained his International Business Degree from ICA in Buenos Aires (Instituto de Capacitacion Aduanera). He received his Law Degree from UADE in Buenos Aires (Unviersidad Argentina de la Empresa). He obtained his Master Degree in Criminal Justice with two orientation, Criminology and Intelligence Analysis from Saint Josephs University in Philadelphia, Pennsylvania. He is a proud member of the Latin American community in Tucson, Arizona, and is proficient in Spanish, English and Portuguese.